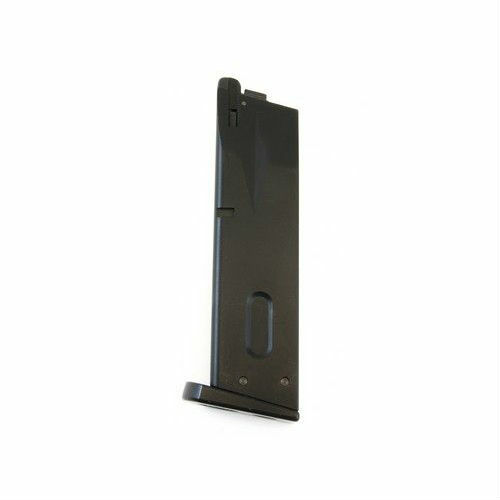 WE Airsoft - BioHazard Extended 30 Rounds Gas Magazine for S.E. WE M92 Sword Cutlass W/ Marking (Full Metal / New Version) Built Material: Full Metal Construction System: Gas Blow Back Gas : Green Gas Magazine Capacity: 25 + 1 Rounds Length: 255mm Package Includes: (Gun, Magazine & Box) Need an extra mag? Click HERE !! WE Tech Airsoft magazine. 25 rounds For use on WE M92L airsoft pistol.